of the quantum nature of reality. I craft etheric poems with my prayers. 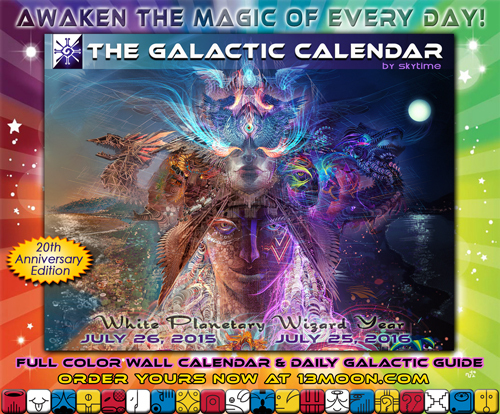 We are blessed to be able to distribute our calendars internationally to planetary kin who are participating in constructing Galactic Culture by living true to the art of our being, synchronized by 13:20 Natural Time Codes. It has been an honor to promote and teach a system of attuning with Nature that is actively upheld in over 90 countries around the globe! Likewise, it is an honor to work for myself, alongside my husband Robert and son Merlin, and share the art of our hearts through our small family business. I, too, live in Montreal and do not know too many people who follow Dreamspell… and how perfect, for I am Yellow Crystal Star! If you see this message, you may contact Eden Sky for my email. In Lak’ech! where shall I contact you? i.like.your.blog.it.makes.me. vibrate.on a.magical path. the.silence of.the.stars! take.a.look.on my.site.theres.some.magic.music.albums free.to.download…some.maya.info.and.about.plants.and. the MAGICAL world we.share! And what a cute Mommie/Son photo…. Beautiful, inspiring, authentic, brilliant..your light ignites. When I look at your pictures and read your words I am transported into realms I dimly understand. No matter. “Understanding is the booby prize.” I will bathe in the waters of the wisdom your being embodies. 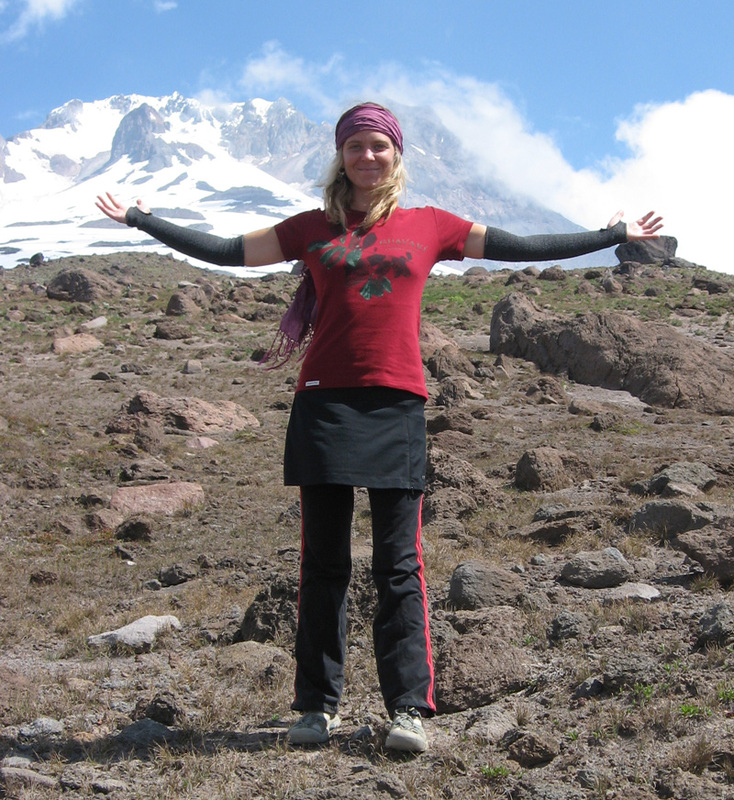 lovely blog Eden, thanks for giving your beautiful gift of wisdom and service to this world. Thanx and praise…as you rise and shine. Beautiful to resonnate with you soul sister, do let me know when you want to visit Australia. I’ve been reading and searching over the last 4 years for SOMETHING, and some how always find myself in one way or another lead back to books, websites, or other media that reflect upon the 13 moon calendar. Ok, I’m convinced, and I mean it. the 12:60 timing is off, it is off key with nature and the balance of nature and our own bodies. I can see that. but I live in this world now, and I live in this country, and I live with all the “conditioning” that I grew up with over the years from society, parents, friends, relatives, law, government, military, etc etc. I want to embrace if I can the 13 moon calendar and get back in touch with the real me, and I want to guide my fiance and her daughter there as well. She is a naturalist, a mother, a co sleeper, a breast feeder, and she is like this, natural wild beautiful thing that just radiates natural energy and considers herself an earth friend so I’m sure I she will embrace this. BUT as I was saying, we live in this modern world, and we have to make do. IS THERE ANYTHING.. anyone, that can help me find a way to transition into adhering to the 13 moon natural cycle and coincide with my daily struggles and duties *work, home security, my creativity, my duties to family and the laws of our government and life around me* I want to break free but we need to live and be at peace with other standards around us that arent exactly our own correct? I guess I’m asking for some guidance, and I suppose I should’nt have written a novelette trying to ask for help and understanding. can anyone help me make this transition and help me be a good guide for my natural beauty and daughter as well? Greetings Moon Sister and Goddess Friend! Thank you so many ways for this sacred site and alignment with the harmony of Mother Moon. I look forward to a time to connect with you more about lunar time and how it will spread to the hearts of the people, every where across the Mother Earth. We will restore balance again with Lunar Time. Bless you triple with Fairys on top. My Greetings and Salutations to you, Sky! It is wonderful to see you furthering your awakenings! I remember you from Crystal Meetings in a number of locations in Portland. I am George, Red Planetary Serpent, still adventuring through my own awakenings and happy to have been able to touch back upon sweet memories of the group I enjoyed there alongside you and others through this site. I am divinely inspired by your essence Eden. I look into your eyes and see a soul sister, and a sacred eternal mirror. Thank you for stepping into your bliss purpose with such grace and strength. From my Blue Magnetic Hand kin, I send you infinite waters of love and light to bring ever flowing peace, joy and beauty into your heart. Your words are deeply inspiring and powerful. I feel a new sense of clarity and purpose. Thankyou, thankyou, thankyou. hearts and minds be joined as One; unified within, so without. and with firm resolve BE the change we wish to see in the world. and wake each day celebrating the Great-Full-Ness of life. “Hello Aryz … I am writing to thank you for being a voice of light and inspiration as I am endeavouring to continue being as I was in life albeit now voice channeled through Andrew Russell – Davis. This to be heard happening on my personal website http://www.dianaspeaks.info as well as seen on the You Tube. Hopefully as this year evolves with all the current changes happening and continuing, people will wake up to the fact that there is indeed life after death and be open to the acceptance that this wisdom gained by them, believing in it will inturn lead to so much more becoming apparent; so knowledge replacing ignorance as a result. This being something, a point I draw attention to in my recent Christmas Message on my site which speaks pretty much as you are enlightened to do; certainly as regards corruptions affecting everyone being exposed. Red Galactic Skywalker offers Greetings and Congratulations. It is with much Love and Acknowledgement that we receive your transmissions. Thank you for your Galactic Service. Many Beings of Light are flipping their switches ON to this communication!! Blessings and Love. I feel inspired to continue my journey of awakening when I read your blog. Peace and Blessings to you, a luminous light Being in the night sky. What are you, an angel?! Im serious, I have never read something so inspiring and soul-piercing. I wish we were friends growing up that’s how much I love the words you use. It seems that every word has already been written itself. Before I read these writings, honestly I felt that something good awaits in this future for me. I am not saying this just because I have read this, but to make long stories short, in the year of 2009 my picture was slowly burning, and it burnt away with suicidal thoughts exiting my heart. This year feels like a new picture is being presented, and that i understand my dreams, slowly, but surely. I promise if what it is happens to me in this future, I have to come back and pay my respects in every loving way. I feel it coming near this summer. I will keep in touch with this site. God Bless! You don’t even understand how I feel. the Arch-Druid on my blog if anyone would like to download it..
2012 is not the end, it is a transformation which occurs every 25,000 years according to the Mayans. Scientifically it is the major point in our solar system eliptical path around the galazy. Thus there are strong electromagnetic impacts on Earth which are causing major changes in our culture. A Black president, a national health program, and more to come… Like a Constitutional Convention described in Article 5, already called for by 27 States! Miraculo! Aryz Eden Sky, thank you for compiling your articulate and comprehensive Q&A – “20 Questions on 2012” – which I have turned into a blogpost. Circumpolar rainbow blessings upon you and your beloved family. In lak’ech, I am Red Overtone Moon. Sorry, forgot to include a link to my blogpost! hi, i love reading your blog as it inspire me to be who i am really supposed to be, to claim the powers of being a BLUE SOLAR NIGHT person, and thanks to one of your closest friend who has been sort of like my spiritual teacher, i am on a journey now of self awakening and new life of changed heart, peace and love. You are gorgeous. Many blessings, love, love, love, and light/dark-peaceful. Do you have a facebook page? I would love to make the contact there with your voice. Hello my dear fellow Dreamspell friends! Blue Magnetic Storm in Phoenix , Arizona. I am glad I found this to respond to you this night. You have been helpful to my blog which I have incorporated some of your music and teachings and graphics…. Credit has been given on any and all pages. As it is a count down blog – there are many differing things through out the days so fat. I was very glad to hear the words from you first about persons being Agents of Calm. Thank you , and I willl be doing my part in things I am sure. I love our art, your work, and everything I have no othe words for. Thanx Skywalker. Love to you and yours, and all the 13moon tribe you have gathered. And thank you for allowing for others to share such knowledge in our ways. Love is the will, love is the law. Thank you for being such a clear Voice…during this transitional times. I’m another Red Self-Existing Skywalker, no doubt one of many. Thank you for all you wonderful articles and helping to enlighten us all. I’m opening my own blog soon, with a lot of related material and a book about my personal spiritual journey, which you may find interesting. I’ll let you know. Stumbled onto 13moon. Mesmerized from the video. Bought related articles and a Personal Destiny Oracle Reading. As I listened to Eden Sky a soulful connection transpired alerting me to the path of truth. As I watched & listened my lifelong confusions slowly vanished; much like the morning fog burning off as the sun heats the planet. 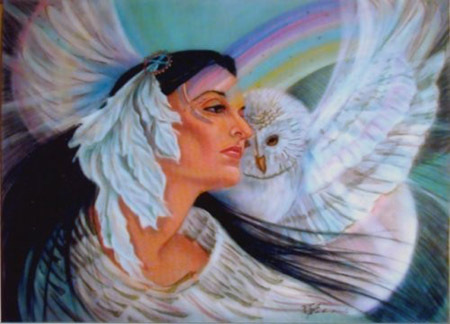 I can not wait to be contacted for the oracle reading. I always felt the TRUTH was out there & in me… Thank you Sky for sharing!!! I just recently became aware of these beautiful ideas. Now that I think about it I can not even remember how exactly it came to be that this new way of thinking entered my awareness, but it is instantly dear to me. If anyone is near Tahlequah and has any inclination to connect I am easy to find. I am excited to see this journey through and look forward to meeting new like-minded spirits. Earlier this morning I came upon the 13 moon link and learned that a man I loved but never met, I man in whose footsteps I continue to tread has passed from this Earth. I wept. I recently spoke with some people I met in Oregon who were going to forward a letter I was working on to Valum Votan. I was near Tulum at Chak’mul for the Harmonic Convergence. On the first day a group of about ten of us bribed the guards at the Tulum ruins and were allowed on the grounds before sunrise. We sat on the beach in a semi-circle facing East. The sunrise split the light of the Sun in infinite divisions across the horizon. I usually meditate open-eyed, so I was the only one in the group to see the cloud in the shape of Quetzacoatl across the water toward Cozumel. I dared not grab the camera beside me; I chose not to disturb the others. I continued to concentrate on a point of light I had been watching in the sky since the night before. It was neither star nor satellite. Around that small point of light as the center of a large circle I saw the faint image of two female Tibetan dancers–dancing. I have shared that with very few people. The next day we climbed the big pyramid at Coba. It was a humid sweltering day in the 90’s. We were all thinking it perhaps, but one of us actually said: “Jeee–I wish it would rain.” Seconds later there was a loud clap of thunder in the cloudless sky. About 200 yards to the West a small dark cloud formed. It moved directly towards us and rained on us for several minutes as we sat atop the pyramid. I have had a pretty good idea of my path since the Vernal Equinox of 1985. Thank you for reminding me that there are others out there who realize that we must have the courage of our convictions and not to fear the final curtain. I have pretty much written my symphony—although I often have felt more like a mere scribe than the writer or creator…but I am pretty good at observing and remembering. My big question is whether I will be able to have the symphony performed while I still draw breath. Thank you for reminding me that the art of our lives is all we really have…and it is all bound together by love. God not ought have to rule alone. ….last reflection of the Adam Kadmon…. HSH i just saw yr poems. they are absolutely beautiful…i love José and i feel Valum in my heart guiding me as they guide all of us 13mooners…we are the dream…the earth intruders…necessary voodoo! LOVE from WhiteCrystalMirror…richie from mtl…In lakech! I would like to suscribe to your newsletters. I need your email address if you want to be contacted or become a member at http://www.hopedance.org. love your poetry and your eyes!!! good luck in the transformation!! P.S. I sent you an email last week regarding natural time calendar opportunity in Italy did you get it? Please let me know if not I will resend it.